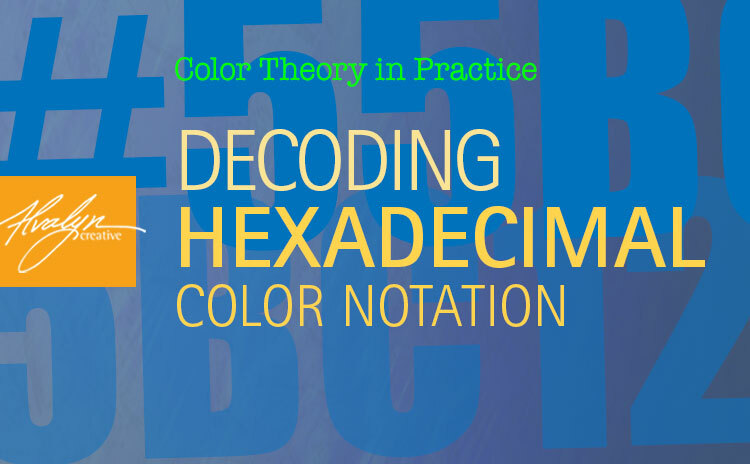 My color theory students have asked me to explain hexadecimal color notation. Their most often-asked question is “What is it?” I will break it down for you in the simplest terms I can. 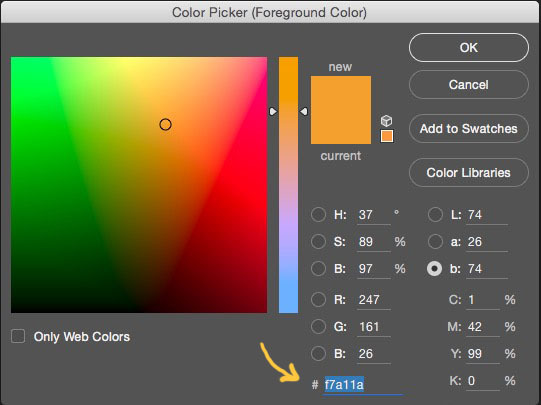 Hexadecimal is a 6-position numeric identifier used to define color in html, css and other code. Each color is designated by 3 pairs of characters. The system is based the binary numbering system. Hexadecimal includes 16,777,216 unique color code combinations. It is an additive system understanding, meaning it represents colors in the Red-Green-Blue (RGB) environment, not the Red-Yellow-Blue (subtractive) color system, which is also known as the Cyan-Magenta-Yellow system. Let’s begin with why white light is the blend of 256 red, 256 green and 256 blue — the full amount or amplitude of each of these primaries. Each primary is at its most present at full saturation, or the amount of 256. How do we get the 256? In digital images of 8-bit color density, the amount of the 3 additive primaries varies between 0 and 256. There are therefore 256 intensity levels for each primary: R, for G and for B. When you combine all 3 additive primaries equally at their full saturation, the result is 256 x 256 x 256, or 16,777,216. That’s white light. The hexadecimal notation is 6 characters preceded by a hashtag. The 6 characters are a combination of 10 numerals, 0-9, and 6 letters, A-F. The hashtag ( # ) indicates that what’s coming next in a line of code is a hex color notation. There are 3 pairs of binaries in a hex string. Each pair indicates the amount of an additive primary. As the numerals increase, chroma and/or amplitude increase(s). Colors that appear lighter (tints) have more luminance and less intensity. Their hexadecimal notations are indicated with higher numbers, which shows that they are closer to white light (#ffffff). You can think of it this way: the more Fs there are in the notation, the lighter the color is. The amount of red is FF or 255, the amount of green is 33 or 51, and the amount of blue is CC or 204. What is your most challenging problem or question regarding color? Ask it in the comments and I’ll answer in another post on this blog. Thanks for sharing. very useful. The hexadecimal notation is 6 characters preceded by a hashtag. The 6 characters are a combination of 10 numerals, 0-9, and 6 letters, A-F.